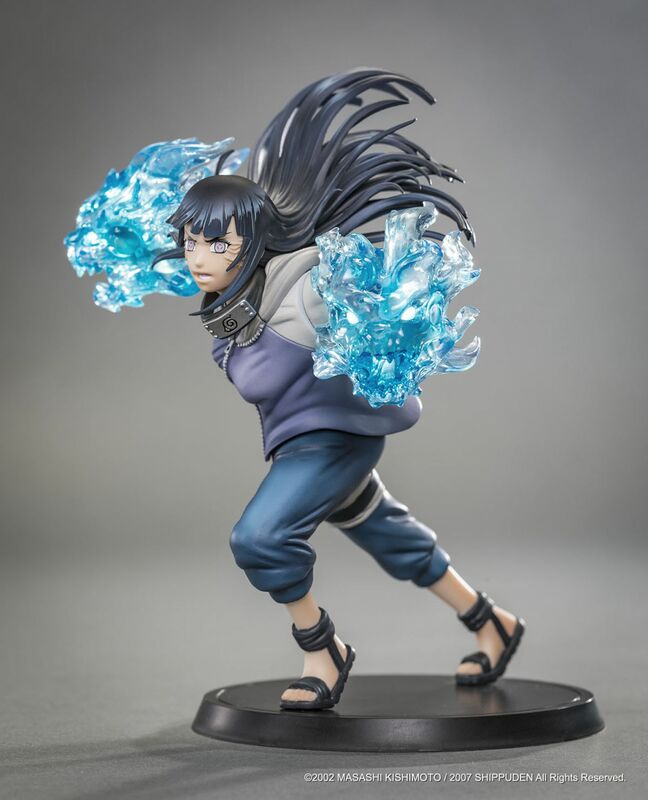 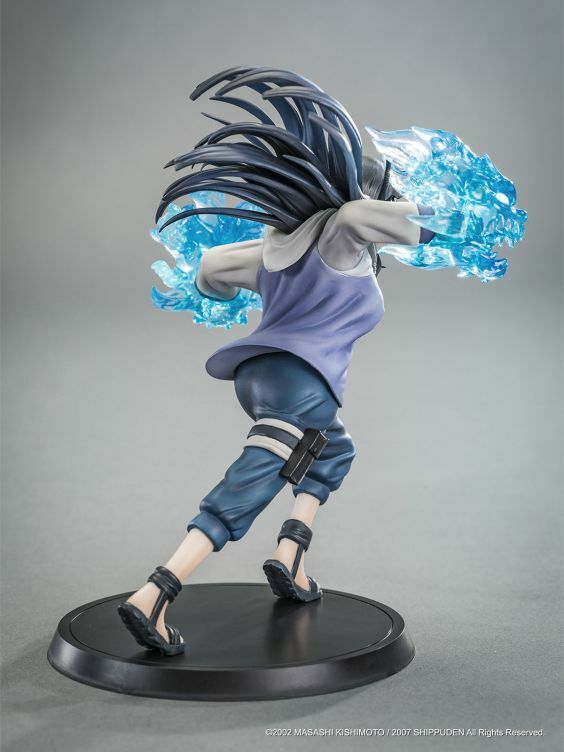 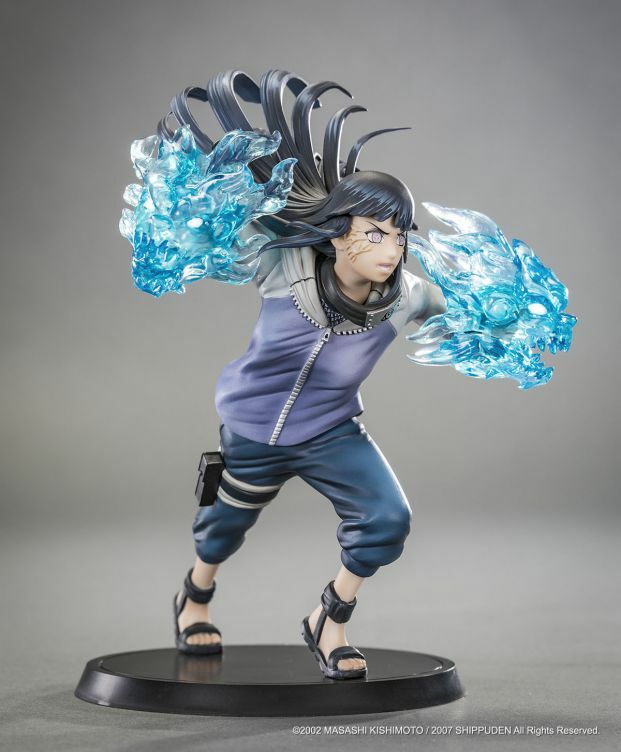 Eleventh character from Naruto Shippuden to join our Xtra by Tsume figures collection, Hinata Hyuga is also the first female to join our cast. 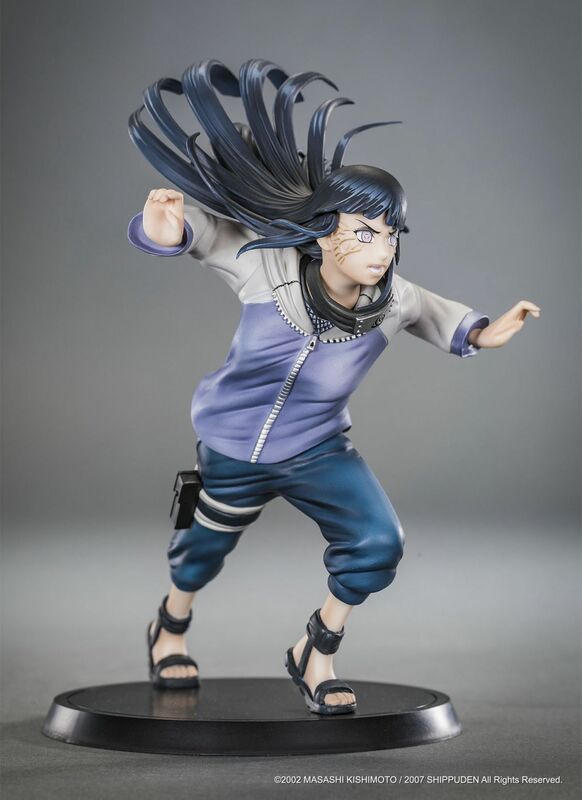 We chose a scene from her fight against Pain Tendo, striking with the Gentle Step Twin Lion Fists. 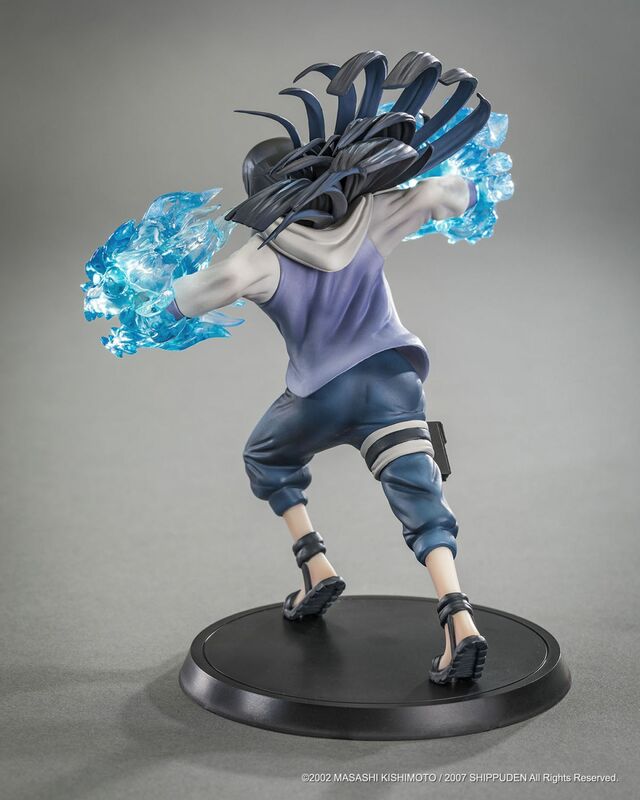 As for the previous pieces of this collection, the sculpting is very detailed and the paint job precise. 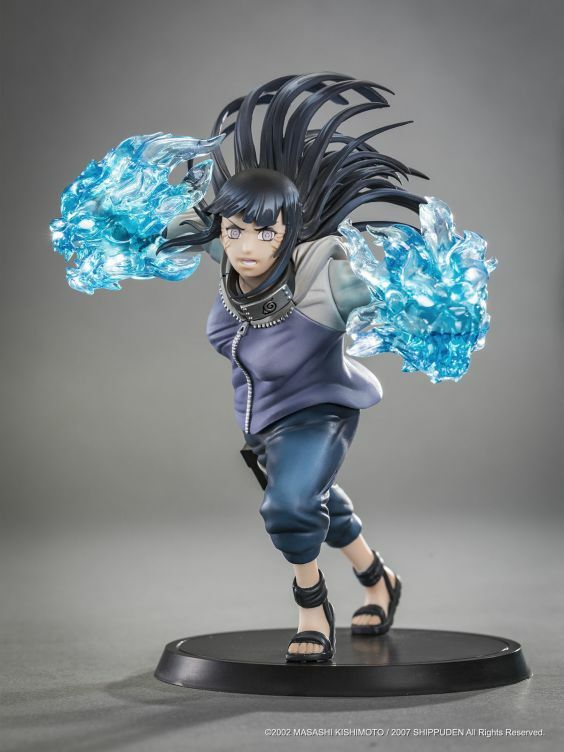 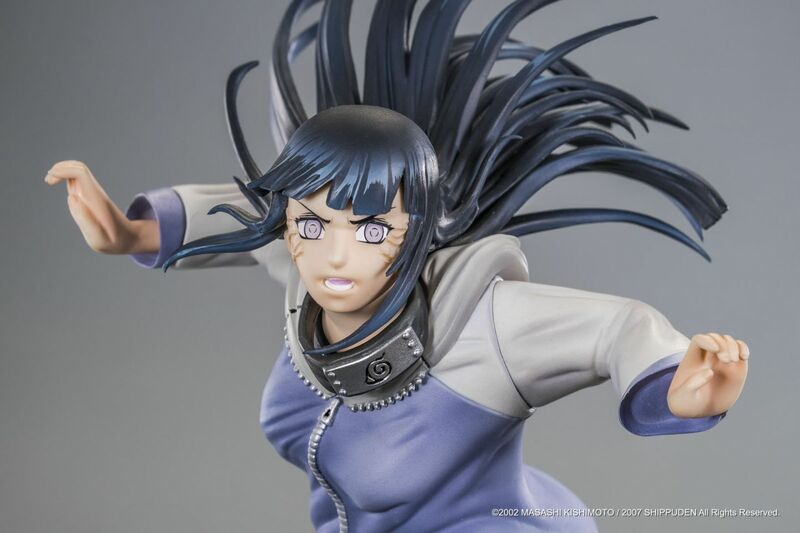 It offers various gradients to spice up the figure and a brand new type of effect on Hinata's hair. 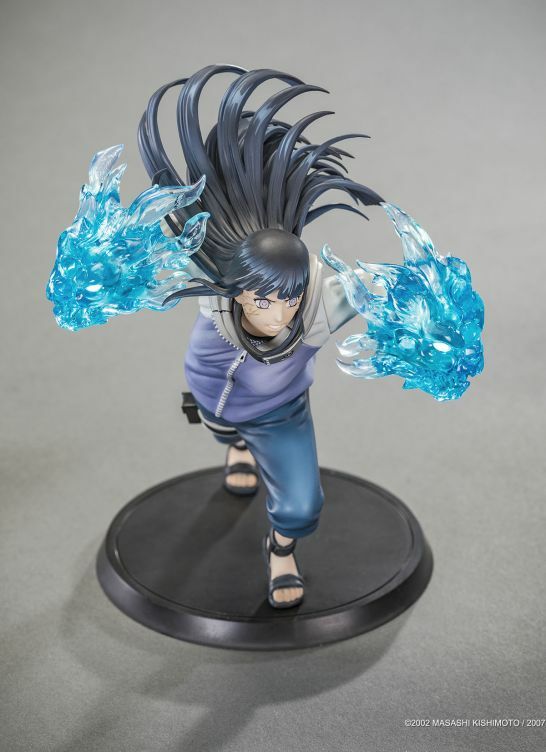 We tried to add the same kind of glints you can expect from an anime character.